The convenience of obtaining competitive shipping rates 24/7. Requesting a booking is now easier with our online form. Use the Cargo Tracking Feature to monitor the location of your cargo. SEACORP would like send best wishes and blessings to our newly wed Chasity King! Chasity was married on Saturday, March 23, to Austin Tanner Hildreth. After a honeymoon to Jamaica, Chasity will return to SEACORP completing her 7th year of employment. Chasity graduated from Appalachian State University in 2016, with a Bachelor Degree in International Business, and a minor in Spanish. Chasity is fluent in Spanish. The couple met in college as neighbors, living in the same apartment complex. Chasity was literally the girl next door! 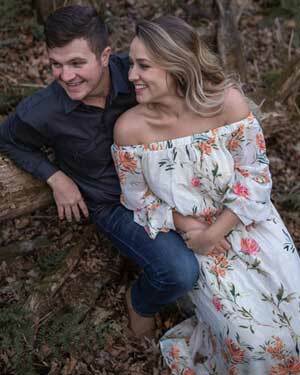 The newlyweds will reside in Lincolnton, NC upon their return of their honeymoon in Jamaica. Chasity and Tanner currently have a fur baby (miniature Schnauzer) named Belle. In addition to loving animals, Chasity and Tanner enjoy the mountains, hiking, biking, canoeing, and snowboarding. Please join SEACORP in wishing the newlyweds a bright and blissful future, with good health, wealth, and happiness. THANK YOU SHEENA FOR 15 YEARS OF SERVICE!! That’s right, Sheena Kiser has been employed with SEACORP for 15 Years now. She began her employment in 2004 working part-time while in high school, and continued working throughout her college education through 2008 when she graduated. 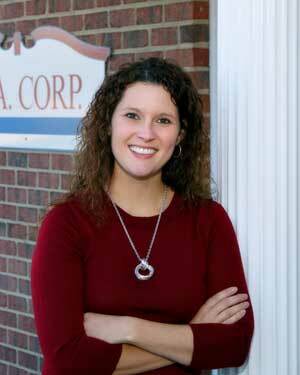 Sheena graduated from Appalachian State University with a Bachelor’s Degree in International Business. Sheena started at the ground level with SEACORP, always doing whatever it takes to please our customers and take care of business. Sheena now serves SEACORP in the role of Vice President of Sales & Pricing. Sheena has performed most every job that has ever existed at SEACORP during her tenure with the company. Some of Sheena’s most treasured accomplishments while working at SEACORP are establishing direct contracts with the ocean carriers; software implementation of a comprehensive TMS Rate Management system, and continuing to develop and expand the global agent network. Moving forward, Sheena would like to grow more direct volume with the ocean carriers, maintain a strong customer base, and continue to build her network to best suit customer needs. Sheena is currently serving as Vice Chair of the International Movers Association Young Professionals group (IAM-YP). With Sheena’s energy and foresight, we look forward to the next 15 years. When you have goods to ship internationally, SEACORP is here to serve you. With us you’ll enjoy the most competitive rates and transit times available. Trust is huge, and we’ve earned it with decades of experience. SEACORP specializes in containerized ocean exports and imports serving ports worldwide. We also provide many domestic and international services including air freight, US Flag Ocean Freight, marine insurance, trucking services, drayage, intermodal, and more. Allow SEA EXPRESS AMERICA dba SEACORP to be your logistics professional for shipping cargo, commodities, and containers worldwide. Let us prove our worth as we partner with you to transport your cargo safely and securely to its destination. For your convenience we offer a “24/7 shipping rates online portal”, along with detailed cargo tracking so that you can keep track of the whereabouts of your cargo. As an NVOCC, SEACORP does not own vessels; but rather has contracts with steamship lines for TEU space to ship cargo. SEACORP currently has approximately 20 steamship line contracts with most major cargo carriers servicing commercial ports worldwide. SEACORP can book full container (FCL) and partial container (LCL) cargo. The NVOCC must have a valid Ocean Transport Intermediary (OTI) license issued through the Federal Maritime Commission and be bonded to manage the transport of your cargo to its destination. SEACORP has become one of the most trusted, stress free transportation providers in the world; due to our dedication to customer service and the need for a user friendly common carrier. SEACORP specializes in the safe and secure global transport of containerized cargo, prominent on six Continents. SEACORP has assembled a reputable and reliable network of logistics experts worldwide. Our service offerings include dedicated neutral NVOCC services; global US flag services; FCL and LCL container logistics specializing in FCL; airfreight; door to door logistics; intermodal transport; special equipment and domestic trucking services. Our customer is our highest priority and we are dedicated to the safe and secure transport of your cargo globally. Please Request a Quote or Request a Booking now! Read and download our latest news!